When you have a toddler learning to walk, all you want to do is encourage them in any way you can. One of the ways I’ve really enjoyed is Squeakers. What kid doesn’t love making a ton of noise as the move around the house. My girls will all walk in a line around the downstairs giggling up a storm as their shoes squeak away. It’s not really all about the fun and noise though, Squeakers are designed to help your kids learn proper heel-to-toe movement to help them learn to walk more quickly. When they walk correctly, they “squeak” and kids love the noise it makes which means they’ll always try to walk the right way. If you’re thinking that the constant squeaking noise will drive you crazy or you’re worrying about letting them wear the shoes to church, you can take the squeakers out. 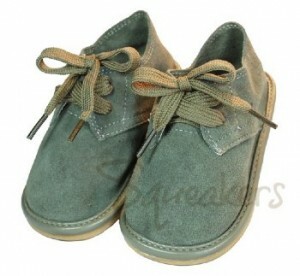 Squeakers come in toddler’s sizes 3-10 and you can buy accessories to put on the shoes, too! To keep up-to-date on their offers, follow them on Twitter and Facebook. 3 Southern Savers readers are going to win their choice of Squeakers. You have a couple of ways to enter, so feel free to enter with one or all of them. 1. Leave a comment below telling me which Squeakers you want to put on your toddler’s feet. 2. Follow Southern Savers and Squeakers on Twitter and tell me you have in a comment below. 3. Like Southern Savers and Squeakers on Facebook and leave a comment below telling me you have. The winners for this giveaway will be chosen and posted to the Giveaway Winners Page 12/13.